Kansas City is full of opportunities and experiences for lovestruck couples to enjoy on Valentine’s Day, so if you’re planning a romantic trip with you and your sweetheart, there’s no shortage of options for this love-filled holiday. Explore the following list and plan your trip to Kansas City this February! When it comes to romantic dates, taking your sweetheart out for a candlelit dinner for two at one of the city’s best restaurants is certainly one of the best ways to celebrate your love. Fortunately, Kansas City has some of the best restaurants in the midwest for a quiet evening with a special someone on Valentine’s Day. From quaint French Bistros like Le Fou Frog on the edge of downtown’s River Market to the old world charm of Italian-style Jasper’s, you’re sure to uncover a great spot to take your date. We personally recommend Piropos, an Argentinean restaurant overlooking the city in Briarcliff Village. Other great options for your date include a fireside dinner at Lidia’s, “progressive American cuisine” at bluestem, or a trip to Westport for a meal at Californos, a New Zealand-inspired restaurant. Show the one you love how you really feel this Valentine’s Day—treat them to a relaxing day at the spa with everything from massages, manicures, and pedicures to make-up applications, facials, and everything in-between. Green Leaf Massage and Day Spa, Spa on Penn, Spalation, and The Spa at Briarcliff are among the top locations to visit with a loved one. Many of Kansas City Salon’s and Day Spas offer special Valentine’s Day packages, so be sure to check out their websites and social media channels for more information on holiday rates. Additionally. you may want to head out to an all-inclusive resort instead where you can not only relax at the spa but unwind after a full day of relaxation in a private suite. The Elms Hotel and Spa, for instance, is offering a special Valentine’s Day package this year which includes access to the resorts’ spa as well as a five-course dinner and champagne toast. From decadent chocolates and delightful truffles to mouth-watering morsels and diet-busting goodies—these top chocolatiers have one thing in common: they’re all from Kansas City. Take delight in visiting one of these purveyors of fine chocolates in the Kansas City Metro and take a box of their goodies home—but beware, you might find yourself eating the last one sooner than you think. Other great options in Kansas City include Panache Chocolatier and Cafe, Bizz and Weezy Confections, Andre’s Confiserie Suisse, and Russel Stover Chocolates, a national brand that’s been creating tasty treats since the early 1920s. From beautiful bouquets to simple assortments, the locally-sourced floral arrangements found in the shopping districts and malls of Kansas City make for unique and artistic gifts for that special someone on Valentine’s Day. Feel the love this Valentine’s Day and take the sweetie in your life to the Fox 4 Love Fund’s Chocolate Breakfast, an annual event that features a full line-up of chocolate-infused treats to start your special day together. The menu includes everything from chocolate brioche french toast, chocolate chunk cinnamon rolls, chocolate fountain, and even fondue; plus, tickets are just $14 and proceeds go to the Love Fund for Children charity. 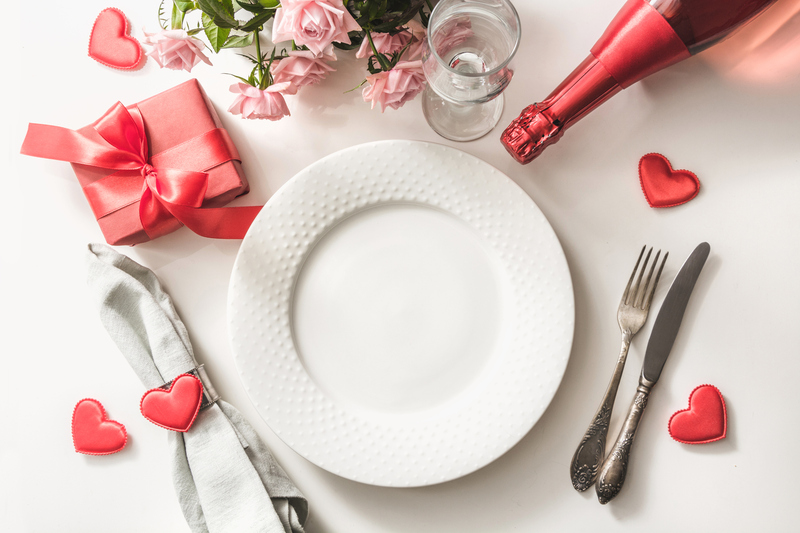 If you’re alone on Valentine’s Day—or even if you’re in a relationship but just hate the holiday—there are plenty of events that don’t require a date, including Anti-Valentine’s Day Bashes and clothing drives. This year, you can also stop by “Love Stinks, Let’s Drink: An Anti-Valentine’s Day Bash” at Zócalo on West 48th Street (near The Plaza) on February 11, 2019, for a dance party and meet-and-mingle event like no other.